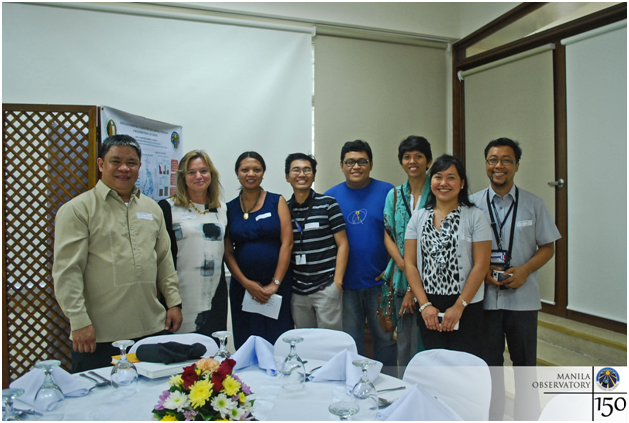 NASA Chief Scientist Dr. Ellen Stofan visited the Manila Observatory in a meeting last August 28 at the Heyden Hall of the Observatory. 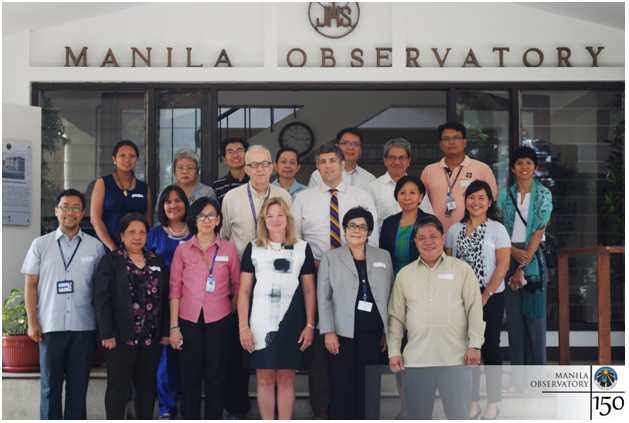 This was held with the objectives of strengthening their long-standing relations with the Jesuit institution and expanding to other Philippine scientific institutions. Partnerships between NASA and MO began in 2007 upon the initiation of the Seven Southeast Asian Studies (7-SEAS) Mission – an international program aimed at the better understanding of how aerosol particles in the Maritime Continent affect certain meteorological conditions. The observability objective of 7-SEAS led to further collaborations between the Air Quality Dynamics (AQD) program – then still called the Urban Air Quality program – of MO and the NASA AERONET (AErosol RObotic NETwork) project, enabling the installation of AERONET sun photometers in the Philippines, one of which is right on top of the main building of MO. Sun photometers are ground-based instruments that measure aerosol properties in the atmosphere. The predictability objective, on the other hand, converged more with the Regional Climate Systems (RCS) program of the Manila Observatory. Aside from these, frequent conversations between the scientists of both institutions have also proved beneficial in the more intensive acquisition of groundbreaking scientific data from the region. 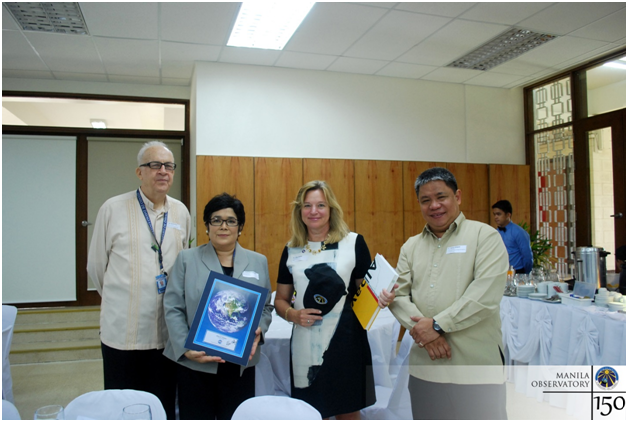 Also in attendance in the meeting were representatives from the US Embassy and other affiliates, including the Ateneo de Manila University and proposed NASA research partners UP Marine Science Institute, PAGASA, and DOST-PCIEERD.